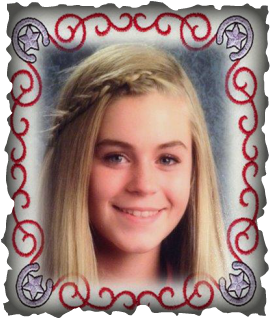 Hello, my name is Jessa McNabb and I look forward to representing the Twin Valley Riding Club as Queen for our many 2014 Events. I'll be 14 in July and have a 4 yr old brother Jared. My parents are Kerry and Roxanne and we live on an acreage between Churchbridge and Esterhazy. I am in Grade 8 at Churchbridge School, play hockey with the Churchbridge Imperials and love to ski and snowboard at Assessippi. We lived in Thompson before moving to Churchbridge 3 years ago. With no horses there the only time I rode was when visiting Grandma in Gilbert Plains. From a young age, it was all about horses and I soon picked up my Grandma's passion - we started with 1 and now have 8 horses and a donkey. Once here I started taking riding lessons to pursue my passion to compete on horses and just get a chance to ride. I now compete in shows and collect points in Saskatchewan and Manitoba. 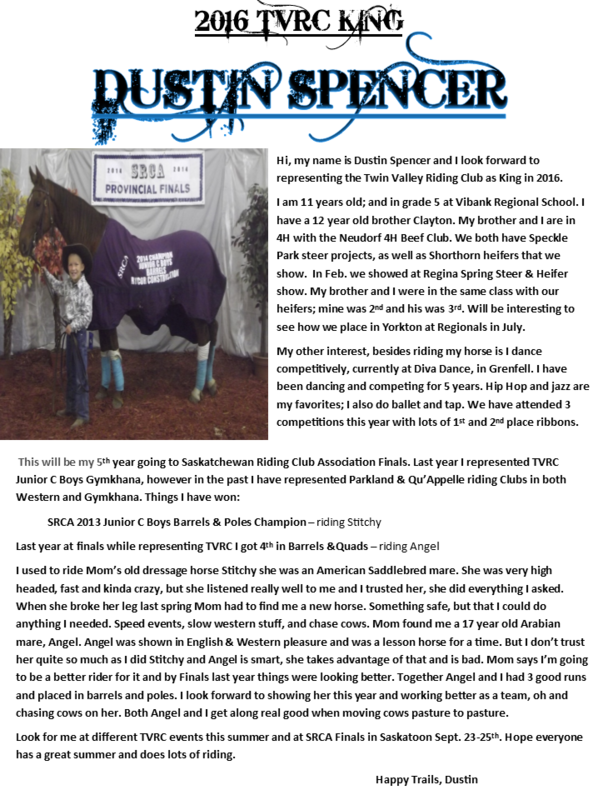 I compete in a wide range of Western & English Classes, Trail, Reining, Barrels and other speed events. I am proud of all my accomplishments but here are a few highlights: Division and Reserve Champion in 4 SHF Events, SRCA Finals youngest rider in age division and Jr. B Western Division High Point Champion. I have come home with many ribbons and many new friends. Last year I trained my miniature horse to drive a cart and we drove in the Hazy Days Parade dressed as a Roughrider. Being involved with horses gives me an opportunity to meet lots of people, have a ton of fun and learn something new all the time. 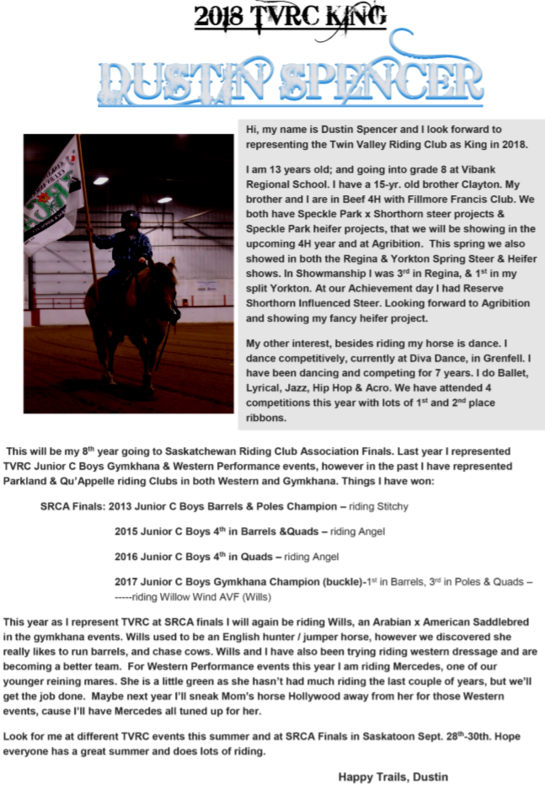 The Twin Valley Riding Club has provided great opportunities to compete, learn and participate in many exciting events. other riding clubs in Saskatchewan.